Cloudy with a Chance of Meatballs...But Which Type? There are few things more hearty and comforting than meatballs, whether they’re mixed in with pasta or slathered in tomato sauce on a sandwich. But with all the different meatball options out there, it’s important to consider their impact on your diet. Traditional beef meatballs are likely to be highest in Calories and Bad Fat. The Trader Joe’s Italian Style Meatballs, listed below, deliver a fairly large caloric punch with 360 Calories per 3 meatball serving. 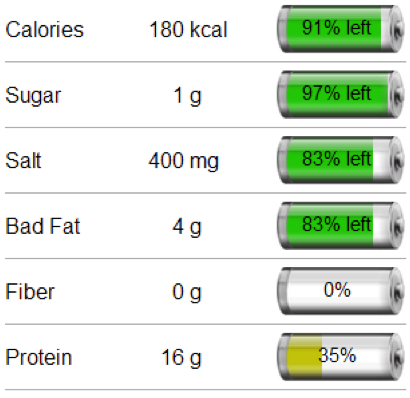 Packed with 17 grams of Protein, they are certainly an excellent protein source. 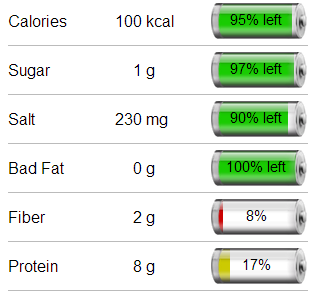 However, because they are made with beef, these meatballs also eat up over 60% of your daily Bad Fat allowance. As with other prepared foods, it’s important to keep an eye on the Salt content of these meatballs and balance the rest of your day’s meals accordingly. A lighter option than the traditional beef meatballs are turkey meatballs, which are increasingly growing in popularity. These Jennie-O Homestyle Turkey Meatballs are half the calories of beef meatballs for the same serving size. 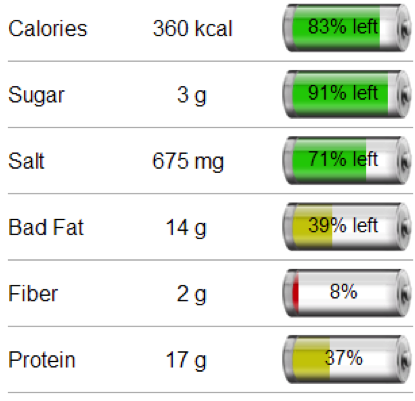 They have far less Bad Fat, only 4 grams per 3 meatball serving, and packed with protein. 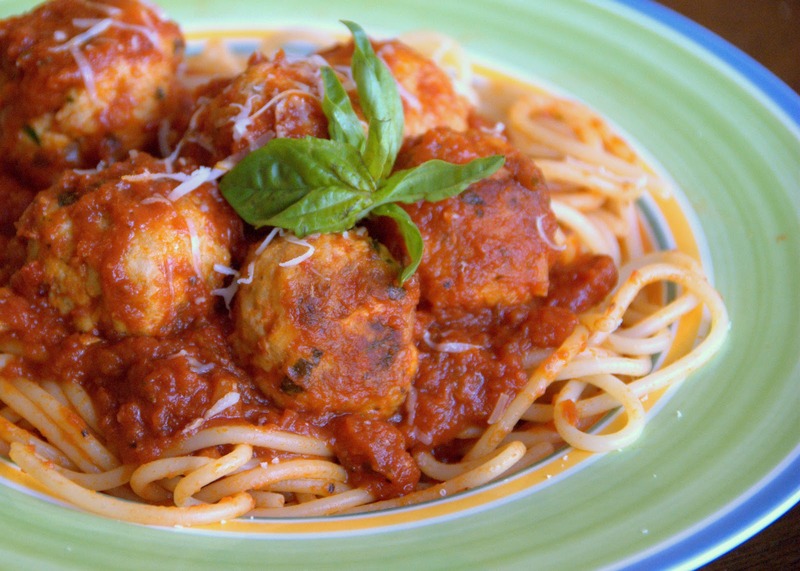 If you’re watching your waistline, the lightest option calorie-wise is veggie meatballs. 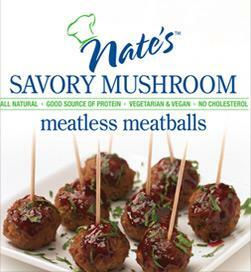 Meatless meatballs can have a base of soy, lentils, or mushrooms, as in the Nate’s Savory Mushroom Meatless Meatballs shown below. A serving of 3meatballs delivers only 100 Calories, 0 grams of Bad Fat, and are also the lowest in Salt among all three varieties. However, this vegetarian option has about half the protein as meat-based meatballs, racking in only 8 grams per 3 meatball serving. However, eating 2 servings of these meatballs would give you the same amount of protein as the beef meatball option with 160 fewer calories.